Get a Travel Itinerary - Trip Planner tailored to your trip by the AWT Editor, based on his first-hand experiences. Free Assessment. Check out our new website today! Recommended Reading Before Any Trip! We continue to offer our Recommended Reading List on all topics and great destinations covered in the travelogue. Why Buy From American West Travelogue? When you make a purchase through our Online Catalog, you help support our site. The Travelogue is a volunteer project, and its continued growth requires many hours of labor as well as substantial cash expenses. If you enjoy the beautiful photos, stories, free downloads, and other information available on this site, please consider making a purchase. Price Reduction - 42% Off! 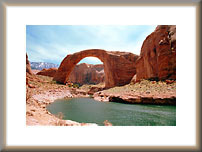 We are pleased to offer a limited selection of large format prints which are simply spectacular. 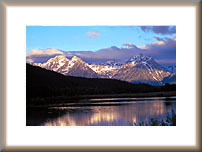 These 12" x 18" prints are mounted in 18" x 24" mats. 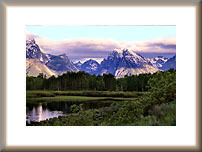 These large format prints are reduced from their regular price of $120 each, to only $70 each, a 42% savings!